PHOENIX — The deadline is approaching for hunters to apply for 2017 hunt permit-tags issued through the draw process for deer, fall turkey, fall javelina, bighorn sheep, fall bison and pheasant. All online and paper applications must be received by the department no later than 11:59 p.m. (MST) Tuesday, June 13. Postmarks do not count. Applicants are encouraged to use the online service at https://draw.azgfd.gov (scroll down to “Apply for a Draw”). 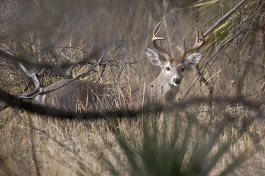 Purchasing a hunting license and filling out an application online is fast and easy. The online service also dramatically reduces the chances of making errors that could result in a rejected application. Paper applications can be mailed to: Arizona Game and Fish Department, Attn. : Drawing Section, P.O. Box 74020, Phoenix, AZ 85087-1052, or dropped off at department offices statewide. For more information about PointGuard, visithttps://www.azgfd.com/hunting/pointguard.